A few more characters have been confirmed for NetherRealm Studios' Mortal Kombat X. After the developers revealed that Sonya Blade, Kenshi and Johnny Cage have made the roster, new leaks have indicated that a few more fan favorites are also joining the fray. TestYourMight user Vak Phoenix posted up some of the leaked screenshots from Mortal Kombat X following the leak of the game's achievement list. You can see a few of the juicier screenshots below. So what do the new screenshots showcase? Well, we get to see a brand new character named Erron Black in action. He's a western-themed gunslinger with two golden revolvers. 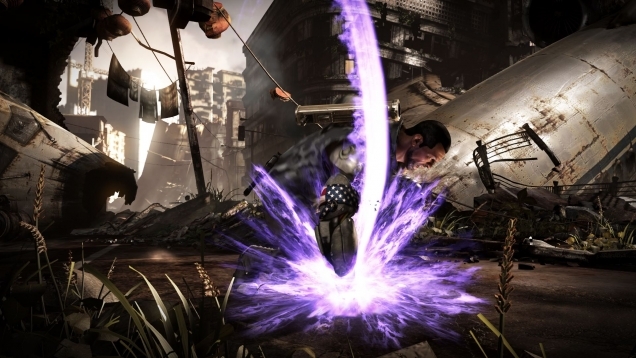 The first image of his is shooting Cassie Cage point blank in the head. It's hard to tell if it's just a standard move and he caught Cassie while she was ducking, or if it's a special move. I tend to doubt it's his finisher because Cassie already has a movie where she blows your brains out and sticks a piece of bubble gum on the open wound, causing it become a bulbous balloon filled with brain gore and blood. Erron looks like a really cool character and while I imagine he'll be a popular character with fans, we'll have to wait and see what he's like in action before it's determined if he'll make a good character to tout during FGC tournaments. I also find it kind of odd that we're getting more western-themed characters but not more western-themed games. Erron Black follows behind another character, Jesse McCree, from Blizzard's upcoming multiplayer shooter Overwatch. McCree is another Red Dead-inspired character similar to Erron Black. Most gamers seem to have taken kindly to Erron but they're also worried about how effective he's going to be as a fighter outside of his twin revolvers. 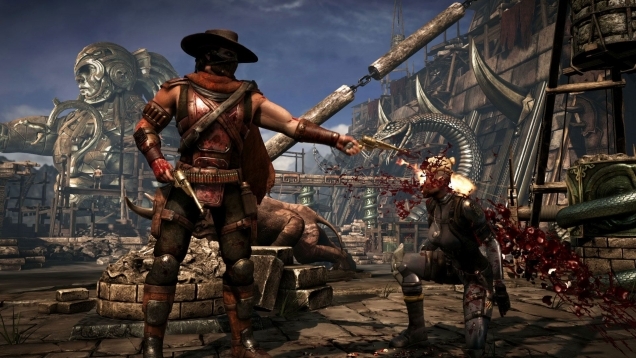 It's a noteworthy consideration given that at the end of the day Mortal Kombat X is a fighting game, and Erron's definitely going to need to back up his pistols with some legitimate skills as a pugilists. 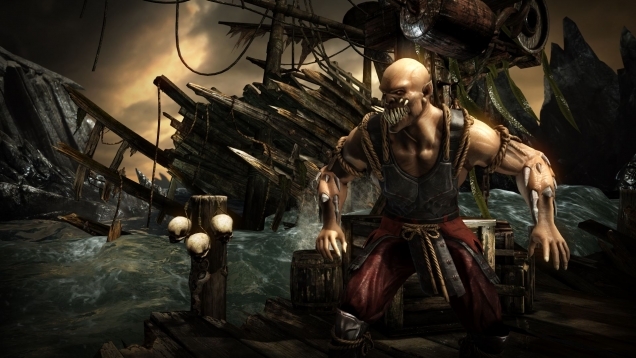 We also get to see familiar returning faces, including Baraka. There's just a quick image of him and we still don't know for sure if he's a playable character or just there as flesh-fodder. Another character that was highly requested by fans was Shinnok. You can't have Quan Chi without Shinnok. Besides, we already knew he was in the game after the story video featuring Johnny Cage revealed that Shinnok was trying to take over Raiden's temple. It was kind of obvious that he would be in the game at that point. Another fan-favorite making a comeback is Jax. After finally getting to see how he lost his arms to Ermac in Mortal Kombat 9 and gained his robotic appendages, the soldier appears to be back with a vengeance in Mortal Kombat X. We only briefly get to see his ground-pound with his purple flurry in a single screenshot, but it looks cool nonetheless. I'm also not sure what's happening with Johnny Cage – whether that's story-oriented or a mini-game, I'm not sure. Hopefully it's a mini-game, otherwise that screenshot is a spoiler and it looks like Cage might be meeting his demise. I guess we'll find out when Mortal Kombat X release on April 14th for the Xbox One, PS4 and PC.